SAN FRANCISCO (KGO) -- A boat is set to leave San Francisco Friday on a special mission. ABC7 News was on board the research vessel, EV Nautilus, as the crew prepared to get a never before seen look at coral reefs off Northern California. 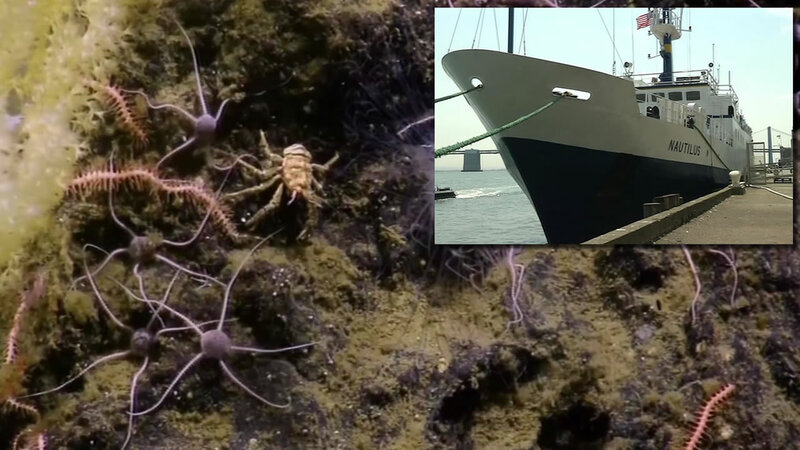 Scientists, including some from the Exploratorium will use robotic rovers to do deep sea exploration in the Farallones National Marine Sanctuary. They'll also explore newly discovered coral reefs off the Sonoma Coast. "As you go deeper in the ocean, species need to adapt. And to be able to live in a high pressure environment with little light, so who knows what we will find," said Maria Brown of the Greater Farallones National Marine Sanctuary. Follow the mission at nautiluslive.org. The crew will also explore the wreck of a World War II ship used for atomic bomb testing. ABC7 has a partnership with the Exploratorium to bring viewers stories about exhibits at San Francisco's hands-on science museum.